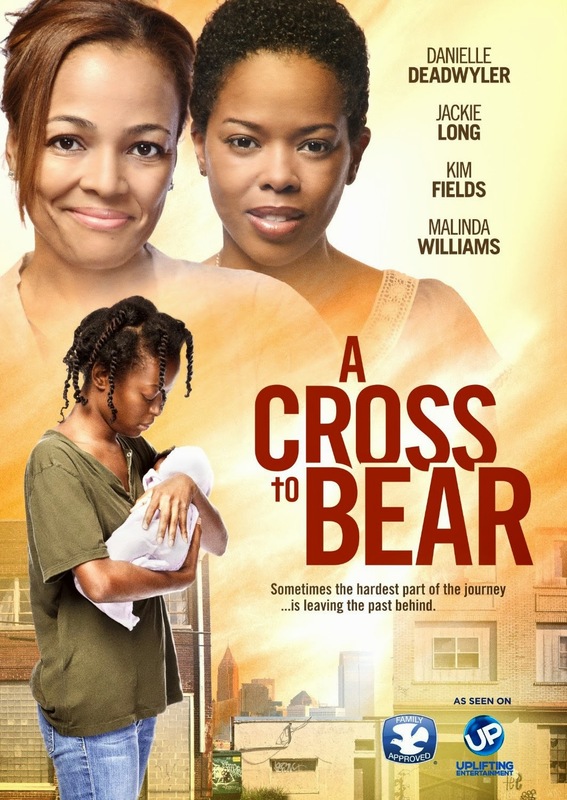 Cross to Bear is about a young woman who is forced to deal with her past after making some bad decisions. The beginning of the movie is of critical importance as some may find the interaction or conversation between Erica Moses (played by Danielle Deadwyler) and her mother to be a catalyst for what follows. When her dreams of becoming a dancer are dashed, Erica Moses turns to her mother's ways and advice to her as a child. She began to drink excessively, and indulged in a toxic relationship that inevitably did not work out. We see Erica Moses 6 months later looking unkempt, and carrying an infant. One evening, she is left with no choice but to find shelter in an abandoned building where other homeless people are squatting and trying to keep warm. This is, in my opinion, is when her most difficult journey begins. Erica Moses is given an opportunity, a second chance, to clean up her life and begin anew, when she is brought to Joan (played by Kim Fields). Joan has opened her home to young women who could use a stern, but helping hand to get their lives back on track. It is here that Erica Moses makes a fresh start. She makes friends, gets a job, and meets a guy, Charles (played by Jackie Long). In the end, we can see the growth of Erica as she has learned to deal with her struggles in a more responsible manner. She has learned how to, not only be more responsible, but how to forgive, love, and move forward into a more fulfilling and rewarding life. The audience for this film would be teen to adult women, ages 15 and up. There are some very good actresses in this film, but I don't think their true talent is demonstrated. A lot of my friends and family have seen this movie, and think it is a good film. I was even told that it is reminiscent of "Gimme Shelter" with Vanessa Hudgens, which just came out. In my opinion, this was not a good movie from the story line to the acting. It could be because this isn't a movie I would normally watch. Or, it could be the story line and the acting are just not good. The reason I say that, is for example, Kim Field's interaction with the girls was not believable. In the end with the confession, it felt much more like it was acted out then genuine. In addition, when the ex-boyfriend came to see Erica after finding out she had a baby, the scene felt misplaced. That part could have been omitted from the film. What I would have liked to see is more of her relationship or years growing up with her mother. However, based on the opinions of other people I have spoken with, that do like this genre of movies, I think you should give it a chance. If I had to rate it, I would give it one star, maybe, but they have given it, at least, 2.5 stars, so, it may be worth the view after all. Movies I would recommend in its place include: Tyler Perry's entire collection: Daddy's Little Girls, The Family that Preys, I Can Do Bad All By Myself, and Madeas Family Reunion.